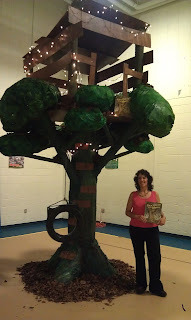 Virtual Author/School Visits via Skype available also! 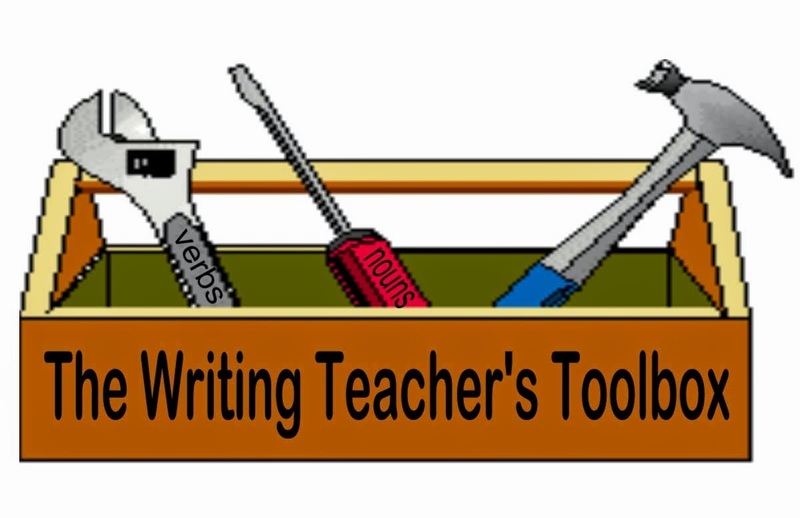 ~ WRITING & REVISION WORKSHOP (can combine with assembly sessions): WRITING & REVISION RODEO!--"A bumpy but exciting ride!" 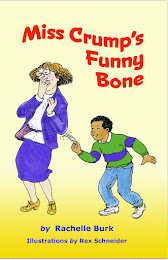 Focuses on the creative process, detail, revision and integrating dialogue. Grades 3 and up. NONFICTION READING, WRITING & RESEARCH: How to "zoom in" on a topic, research, find reliable sources, and interview your subjects. 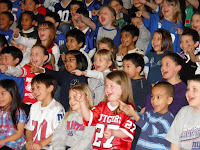 For grades 3-6. 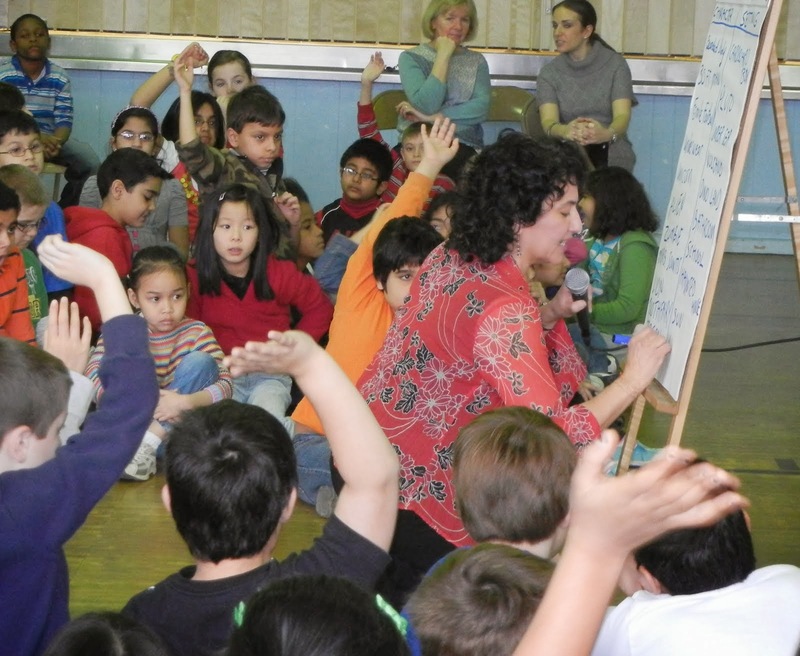 "Fostering a Family Reading/Writing Culture": Enlightening and entertaining evening assembly that shows parents and children how to bring reading and writing into their every day lives in simple, fun ways--even for the reluctant readers and writers. 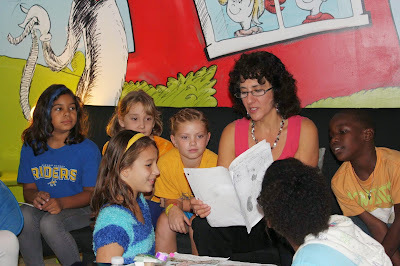 Story building group exercize, demonstrating how we come up with ideas, characters, and details through "brainstorming." Special Author Visit programs for the very young; includes storytelling and/or book reading following age-appropriate presentation about making stories. 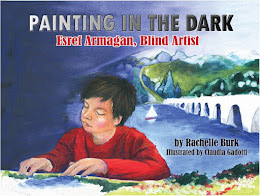 Rachelle touches on the importance of curiosity, creativity, and imagination. 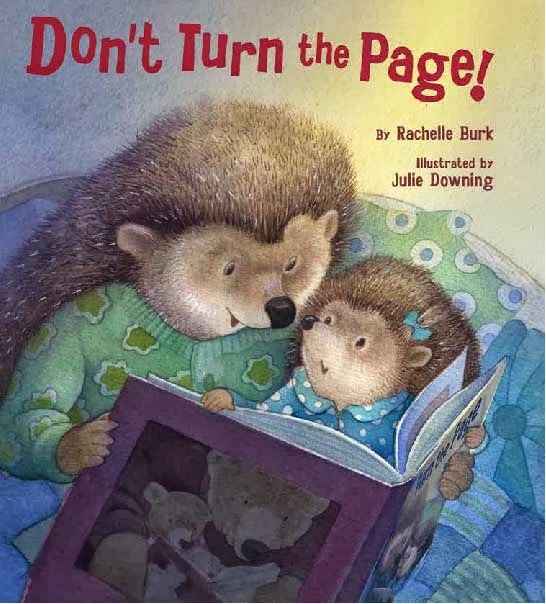 With a lively and often hysterical PowerPoint presentation, the author talks about how story ideas are born, and how even the youngest child can create a book. 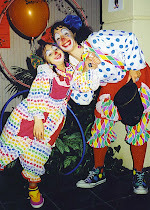 ~STORYTELLING programs for ages 2-7 : After a simple author talk, "MOTHER GOOF" will make story time come alive with interactive dramatics, story board, masks, puppets,and other props. 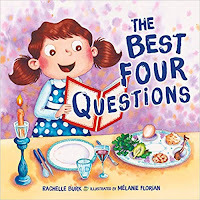 ~Classroom Guides and various activities related to Rachelle's books can be found by clicking on the specific book covers in the left column. You can also find a full sheet in the "preparing for your visit" link on the right. 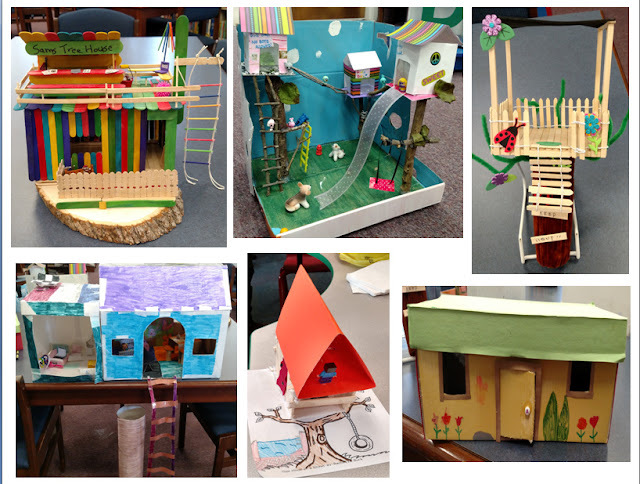 LITTLE ENGINEERS BUILD TOOTH FAIRY TRAPS! 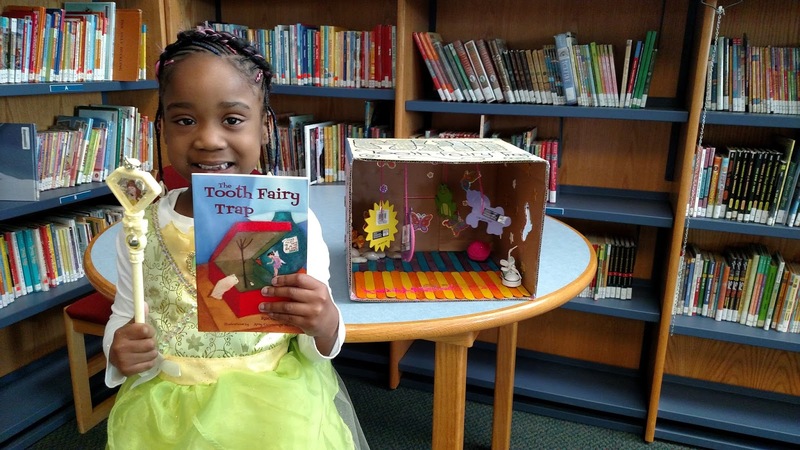 This Connecticut school chose The Tooth Fairy Trap for their annual “One School, One Book” program. For more photos and projects, click HERE. 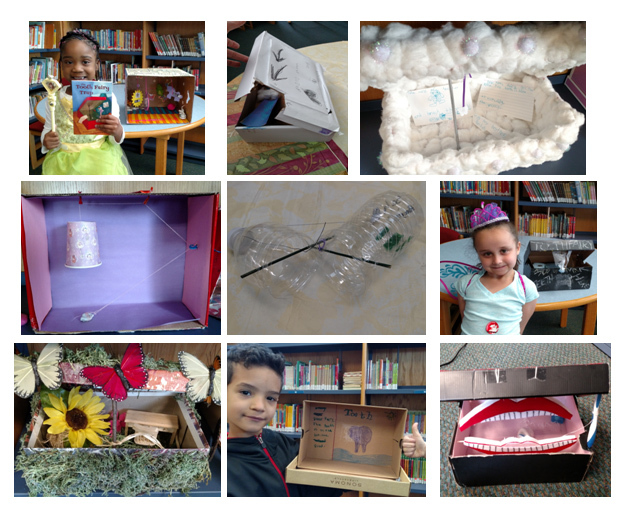 After reading The Tooth Fairy Trap, Dozens of K-2 students at a Connecticut school used their ingenious engineering skills to create their own fairy traps. They used cardboard boxes, Styrofoam take-out containers, Tupperware, and even empty water bottles. The fairies were baited with everything from flowers and candy, to a party, waterslide, and dreamy new home. 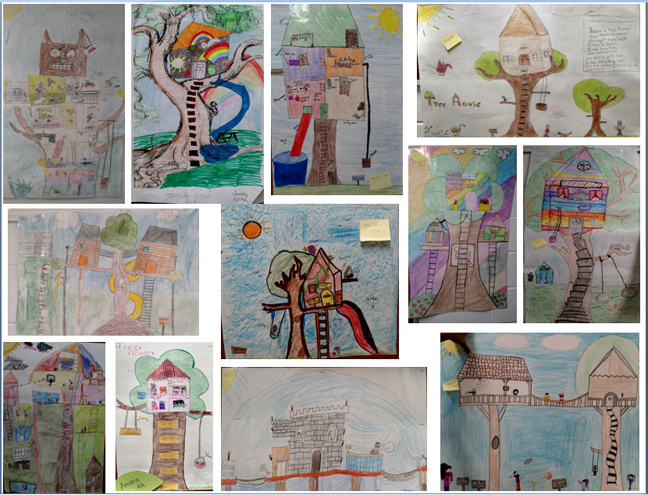 Students draw pictures of their dream tree house, accompanied by an essay or story. This Delaware school chose Tree House in a Storm as the basis for several projects. 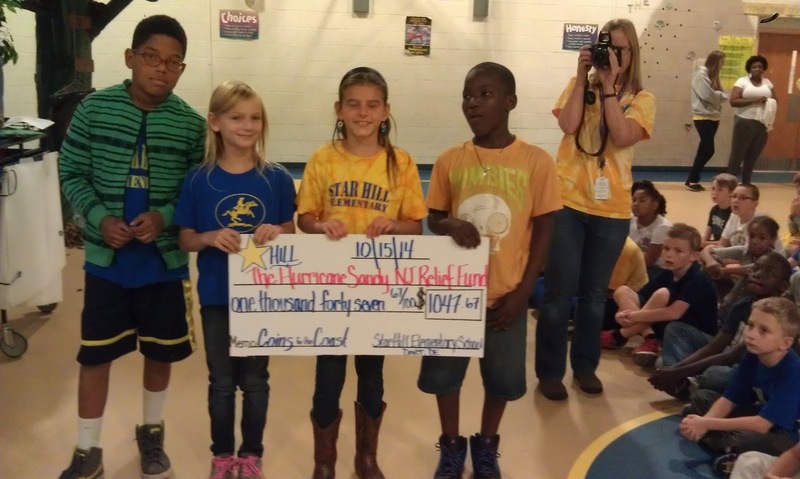 Since book is about a hurricane, they also raised over $1000 for Superstorm Sandy victims. 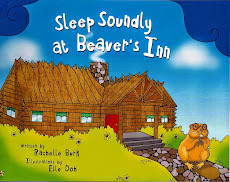 Click here for the full adventures of Rachelle and a "Flat Stanley" project.